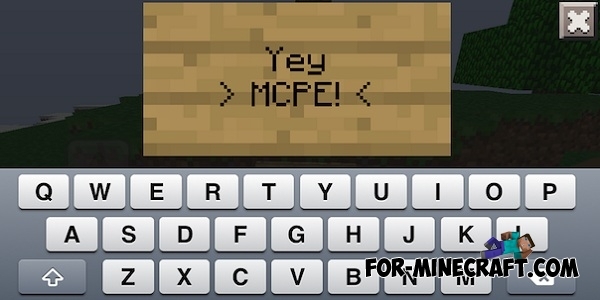 Probably each of Minecraft PE players once used signs, and many received an error - an incorrect entry. After this we have to break the sign and add all the text again, but Sign Editor mod will fix the problem! Due to Sign Editor you can edit all text at any time. Pick up a stick, sword or other similar item and click on the sign. Then you will see a graphical interface for editing text. Now you can change the text as you want and all that is written will be saved. Now run the downloaded addon and install it. Go to the Minecraft PE and enjoy.